Hi.I’ve found the typo error in this book, on page 188.There must be count equals to 2 because of 3 element in the fromArray stream.So it should be 3 instead of 2 on the comment. Confirmed and added to the errata crediting you. Thanks for noticing and pointing it out! In chapter 4, Using Terminal Operations for the min() and max() operations, the method signatures are missing the Comparator interface. Welcome to CodeRanch! Thanks for letting us know about that error. I've added it to the errata list and credited you. Good catch! In the middle of the page it says "It could be added to both, buth then ...". I think this is not true because inner classes cannot have static declarations. I take it back. It's not inside another class - where I accidentially put it in my thought. Therefore, it is correct. Page 6 - You are correct that it is correct. We have a lot of places where there are multiple classes in the same example. It's easier to make them non-public so we can refer to one set of line numbers. That way we are't saying things like "on line 4 in class Y" in descriptions. Page 17 - You are correct. I've logged this. There're 2 missing '0' on parameters column, 2 missing 'void', 2 missing 'boolean' on return type column, 2 missing 'accept' and 2 missing 'test' on 'single abstract method' column on table 4.9, on page 211.And as well, the same kind of typo error on page 212 on table 4.10(continued), with columns both return type and single abstract method and on page 212, 213 on table 4.10, with columns both return type and #parameter.But there is another typo error related to table number on page 212.It should be table 4.9(continued) instead of table 4.10(continued). Javid Azimli wrote: There're 2 missing '0' on parameters column, 2 missing 'void', 2 missing 'boolean' on return type column, 2 missing 'accept' and 2 missing 'test' on 'single abstract method' column on table 4.9, on page 211. And as well, the same kind of typo error on page 212 on table 4.10(continued), with columns both return type and single abstract method and on page 212, 213 on table 4.10, with columns both return type and #parameter. They aren't missing. That's a design/layout decision. The idea is not to repeat information within a cell when it is identical. And the parens aren't there because they are showing the type of the parameter. When there are zero parameters, there aren't types to explain. Javid Azimli wrote: But there is another typo error related to table number on page 212.It should be table 4.9(continued) instead of table 4.10(continued). Now that is in fact a layout/rendering error! 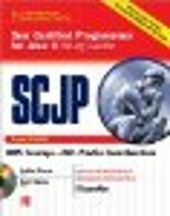 There's an error on page 49 that says "Finally, the method calculateSpeed() is a static member and, like MAX_SPEED, it is available without an instance of interface. ".I think this is not true about interface, there couldn't be an instance of interface, because we can't create an instance for interface.Perhaps you know this, but this such an error violates java rules. "an instance of a class that implements the interface". The later is more precise, but implied from the former. Javid Azimli wrote: I think this is not true about interface, there couldn't be an instance of interface, because we can't create an instance for interface.Perhaps you know this, but this such an error violates java rules. Yes, we are well aware that you can't instantiate an interface directly without creating an instance of a class that implements an interfaces. It's common, though, to pass objects using interface references (like passing an ArrayList as a List reference). When talking about such objects, it is easier to refer to them as instances of the interface, as this is more concise and has the same meaning as the longer form. In other words, this is a minor language issue. If you hear someone say an "instance of an interface" they are using shorthand for "an instance of a class that implements the interface." I prefer the short form, but others may feel more comfortable saying the whole thing every time. No, It's definitely mistake by saying instance of interface.You could say "reference to an interface".So, you said "Yes, we are well aware that you can't instantiate an interface directly without creating an instance of a class that implements an interfaces. ", and from your saying we can guess that we could get an instance of interface via directly creating the class that implements this interface.You can't create an instance of interface neither directly nor indirectly.I don't agree with you about this issue, and I don't believe that vast majority of java professional programmers would say that this's correct one on the book.It's my opinion.I just reported that as an error.If you insist that you're correct, then give me evidence(java related web site link) about this issue. Both Scott and I have said that means "you can instantiate a class that implements an interface". Not everything in English is so precise. The question is whether it is clear. Scott and I (and our tech editors) believe it is implied that "instance of interface" implies "a class that implements an interface". You don't. So we have a difference of opinion. You understand how interfaces/classes work which is what's important on that page. Oh, and good luck on the test! Hi guys, on chapter 3, page 143, it says "There is also a class called Comparator," it should say interface! Please check here and here for errata; I think you have found a new erratum. Morning came much too soon and it brought along a friend named Margarita Hangover, and a tiny ad. 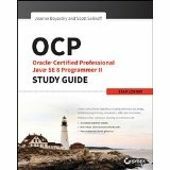 Help needed to choose correct certification OCAJA/OCPJP ( 7 or 8 )! !